Suffolk Country Inns is a dynamic gastro-pub group with one simple mission; to create warm and welcoming pubs, restaurants and inns where you can enjoy the very best in food, drink and service. Sit back and relax as you explore the mouthwatering menus on offer, smile at that first sip of real local ale and day dream about a break in our sumptuously furnished boutique bedrooms. 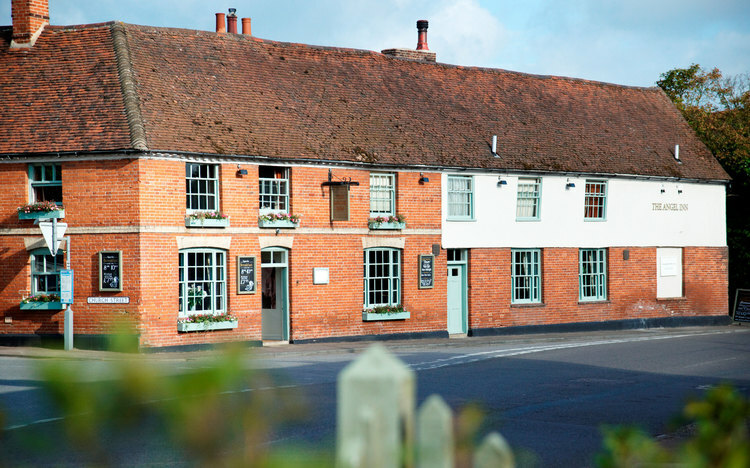 A 16th Century coaching inn in the historic village of Stoke by Nayland, the Angel offers luxury accommodation in the heart of Constable Country. With open fires, original brickwork and oak beams this country pub offers fantastic food in a stunning historic setting with six beautifully styled boutique bedrooms. Should you ever be considering venturing to the westcountry, Suffolk Country Inns sister company Sail Lofts - St Ives delivers award winning luxury apartments by the sea in St Ives. Running since 2008 Sail Lofts - St Ives has become a cornerstone in St Ives for offering the best that luxury accommodation in Cornwall has to offer.